Turkey and Russia on Friday criticized the U.S. decision on Golan Heights, saying it was against international law. "We definitely do not recognize such a decision and such a signature [of U.S. President Donald Trump] because it is against international law and UN resolutions. These are the territories of Syria," Turkish Foreign Minister Mevlut Cavusoglu said at a news conference in the Mediterranean province of Antalya. 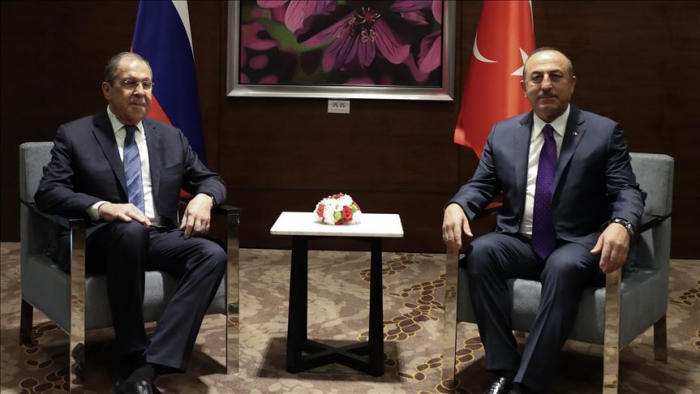 Cavusoglu's remarks came after the 7th Turkish-Russian Joint Strategic Planning Group Meeting, where the minister discussed bilateral relations as well as current regional and international developments with his Russian counterpart Sergey Lavrov. Cavusoglu said the U.S. decision did not contribute to regional peace and stability, adding: "On the contrary, it creates unrest and chaos in the region." Lavrov, for his part, said Russia also did not recognize the decision, saying: "This is against international law. All kinds of international law was violated and broken." On Monday, Trump signed a presidential proclamation officially recognizing Golan Heights as Israeli territory. Turkey, Russia, China, Germany and others are already opposed to Washington’s most controversial move in recent years. He also said Turkey and Russia not only develop bilateral relations but also strengthen cooperation on regional issues. “It is not limited to Syria or some countries. We are in consultation with Russia in many areas, including Balkans and Central Asia," Cavusoglu said. The minister also said Ankara expects Russia to remove the visa-ban on Turkish citizens. "Our expectation is the complete removal of visa for our citizens. We discussed which steps we can take regarding this, and also we will together continue to work on this issue," Cavusoglu said. Russian President Vladimir Putin signed a decree to lift visa requirements for Turkish service passport holders and truck drivers traveling to Russia.